Here are some top mobile UI trends to follow in 2018 for enhanced user experience. A meaningful user experience allows the companies to seamlessly fulfill users requirements. 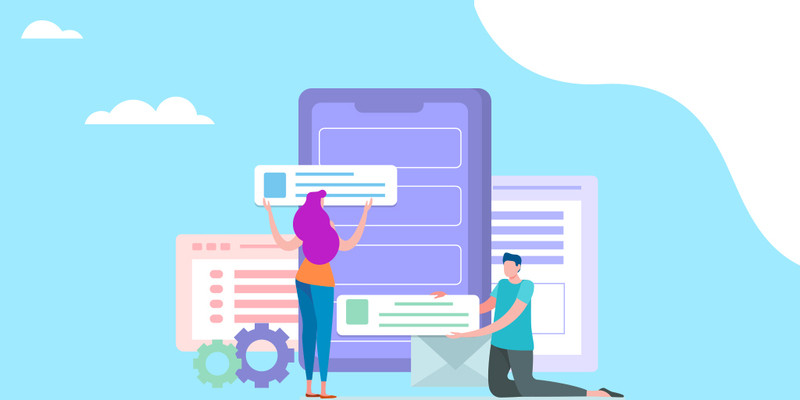 With constantly growing demands of mobile application users, companies across the globe are working to build applications that can cater to these dynamic demands. By analysing the UI design trends of the past couple of years, we can predict the new emerging trends of 2018. Below are the top mobile UI design trends that we can expect in 2018. Eliminating the visual clutter and optimizing comprehension is very popular amongst the designers. They simply remove out the irrelevant information from the screen and emphasis on the relevant ones. This helps the user focus on the main message that the app is trying to convey. Designers should be clear about how UI elements will be presented on the screen. Effective visual signifiers like contrasting colours, overlapping effect, etc. are highly used to direct users to specific information of interactive elements. Subtle colours had become standard in the normal design paradigm that managed to insinuate various allied design disciplines. This minimalism has allowed the users to recognize clean UX and visual hierarchy. However, modern mobile designing domain is all about being bold with the designing approach. Vibrant hues today make your designs stand out from the crowd and offer the much required edge in the market. Clear designing complemented with vivid colours is the new trend that will accentuate the users experience to a whole new level. With the emergence of new all-screen, broader information, and hardware the delivering capabilities have become significantly profound. Therefore, it is equally important that the user interface come across some constructive changes as well. By customizing the services that mobile apps render through digital products, they can prolifically increase the conversion rates. The meaningful animation is an effective way to engage modern users. Animated micro interaction offering context to every process is the primary visual elements that trigger amusement. When it comes to user interface design, it is all about connecting humans and machine which eventually trigger emotions. Today we are witnessing emotional intelligence (EI) being highly integrated into the mobile experience that makes the user experience more engaging and delightful. The trend allows users to interact with digital products the same way, they communicate with each other. It is not always necessary that the users have access to interact everywhere. Therefore in order to augment the user experience designers are focusing on making offline usability available to the people. This allows people to seamlessly use the mobile application without worrying about proper internet connection, hence improve the user experience and brand value. Creating an exceptional UI require designers to extensively understand what the users are expecting and seamlessly incorporating the solution the designs. Therefore, it is important that designers to stay innovative, understand the growing needs, and stay updated with the latest technological advancement to build distinctive interface time and again.